YouTube was founded in February 2005 and has already become the most famous go-to site for videos on the web. You can find any useful videos for fun or study or information dissemination, and even most of professional videos available in YouTube brought you both entertainment and a number of help. However, sometimes it’s more of convenience to convert YouTube to AAC since the format of AAC will take less memory storage and enjoy higher acoustic fidelity in IPod and other audio devices which you can listen to when taking a walk on the pavement or anytime you want. I have seen so many people seek help on internet on how to convert YouTube to AAC when they need an audio for iPod and other audio devices rather than a video. Actually, there are various YouTube ACC Converters that can give us a hand to solve this problem quickly and easily, and one of the most typical and widely-used converters is Leawo Video Converter. 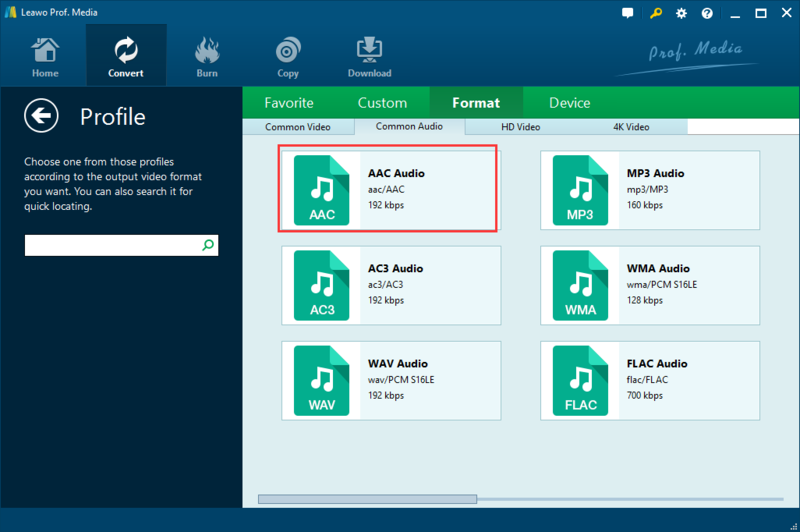 In the next part, I will introduce you with detailed guide on how to download and convert YouTube to AAC with Leawo Video Downloader and Leawo Video Converter. Part 1. How to Download and Convert YouTube to ACC with help of Leawo Video Downloader and Leawo Video Converter? Part 2. How to Convert YouTube to AAC with YouTube to AAC converter online? Before converting YouTube to AAC, first you need to confirm that you have downloaded YouTube video on computer. If not, it is recommended to use Leawo Video Downloader. It is specifically more than a single online video downloader, which is apart from downloading YouTube videos and videos from other online video websites like Facebook, Dailymotion, AOL, iFilm, Myspace, and Dailymotion, and can download online flash videos at high speed as well. 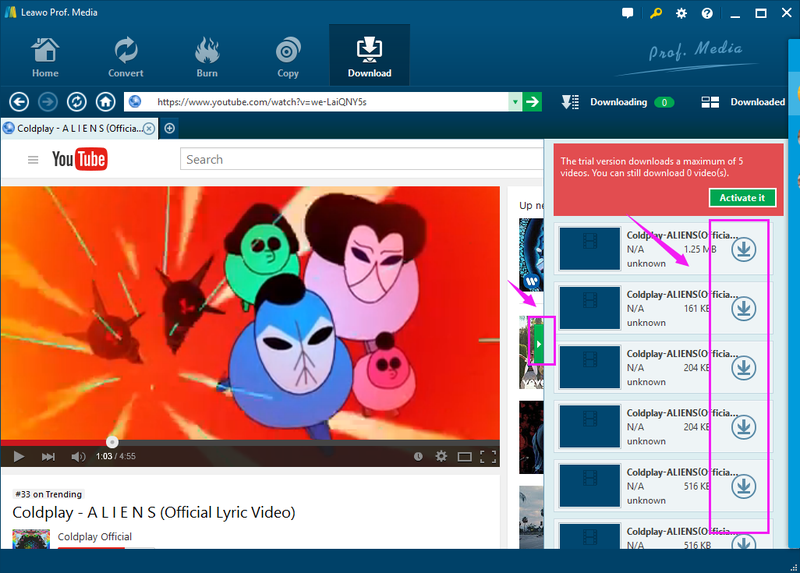 With the video downloaded, you can easily download YouTube videos on your computer for ready to be converted to ACC with Leawo Video Converter. It is worth to mentioned that Leawo Video Downloader and Leawo Video Converter are both in one group named Leawo Pro.Media. Please download and install Leawo Video Converter first and then you will see that. After setting up the YouTube AAC Converter, open the software and you will see the “Download” button highlighted, click the “Download” tab to ready to download YouTube video. Once finished, click the “Downloaded” tab to check the downloaded youtube video. And then right click the downloaded video to choose “Add to Converter” icon. Then you can put the videos to the converting interface for ready to be converted to AAC. Now let’s turn to the process of converting YouTube to AAC with Leawo Video Converter. First let me do a brief introduction about Leawo Video Converter. It is one of the most useful converters that can convert YouTube to AAC quickly and efficiently. It is more user-friendly and easier to be operated. 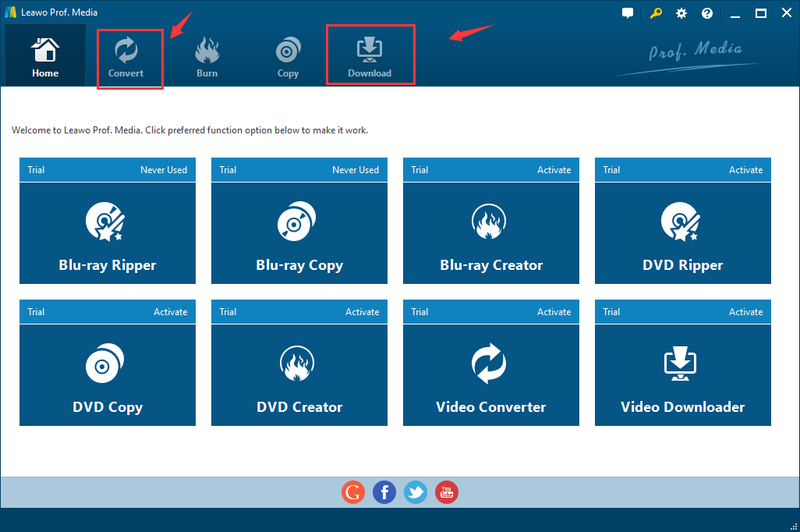 With the free version, you can almost convert videos to AAC as soon as possible and it is feasible for you get much more fun in converting and editing your AAC version. Step 4. Add video to wait for converting. After choosing “Add to convert” to add all the downloaded videos to the convert surface. You have added YouTube to the program. Open the drop-down box on the category bar and then click the “Change” button to enter the “Profile” panel. 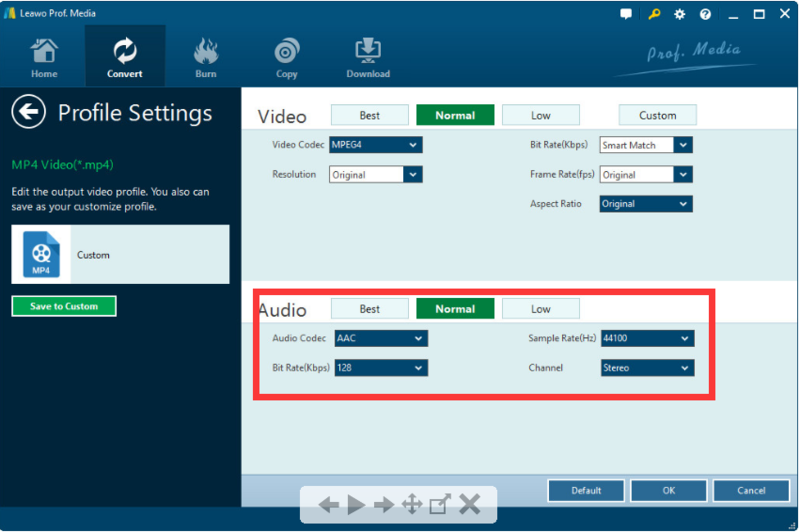 After entering into Profile panel, you need to choose “AAC Audio” under “Format > Common Audio” in order to convert YouTube videos to AAC. On the drop-down box, click the “Edit” option, and enter the “Profile Settings” interface to adjust Audio parameters of the converted AAC output profile. Back to the main interface and click on “Convert” button. On the popup sidebar, set a directory path to save the output AAC audio files. Then click the bottom “Convert” button to start converting the video from YouTube to AAC. And when 100% complete, you click “Finish” and then get a higher AAC version. 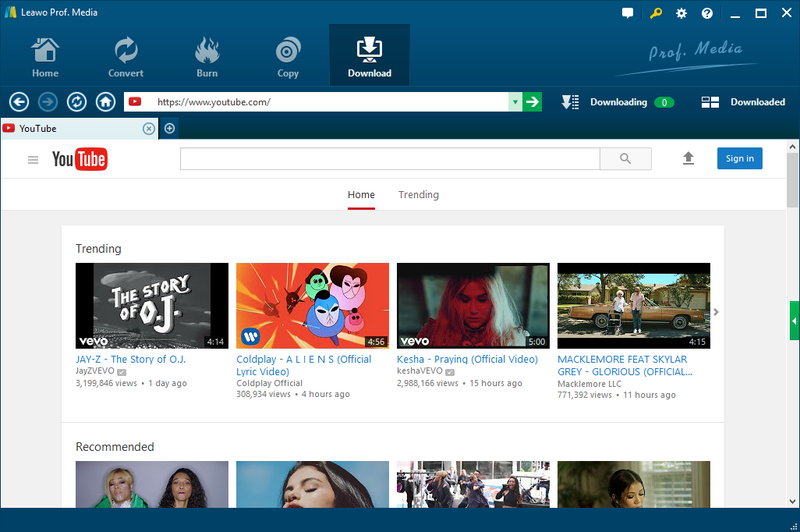 Apart from the highly recommended Leawo Video Converter, YouTube to AAC Online Converter is another choice. And there are a number of capable online YouTube AAC converters for reference. And I will take Clip Converter to show you simple guide. #1.Office-converter—this AAC converter supports quickly online convert over 50 file formats to AAC File Format, Including YouTube videos to AAC, AC3 to AAC, AIFF to AAC, FLAC to AAC, M4A to AAC, MP2 to AAC, MP3 to AAC, OGG to AAC, OPUS to AAC, WAV to AAC, WMA to AAC, etc. #2.YouTube-to-AAC It is a free online video conversion application, which allows you to download and convert any YouTube to AAC, MP3, MP4 and MP4 HD, etc. #3.Clip Converter it is a free online media conversion application, which allows you to record, convert and download nearly any audio or video URL to common formats. Its currently supported service includes YouTube to AAC too. This free and fast converter allows you to watch your favorite YouTube videos offline on your PC, TV or nearly any other device. A. Paste your YouTube URL at ‘Video URL’ and press Continue. B. Select the format AAC and the options for the conversion. The default options are for most videos a good setting. C. Press the ‘Start’ button at the bottom to start the conversion. D. This may take several minutes. After the conversion is finished you can download the converted file. 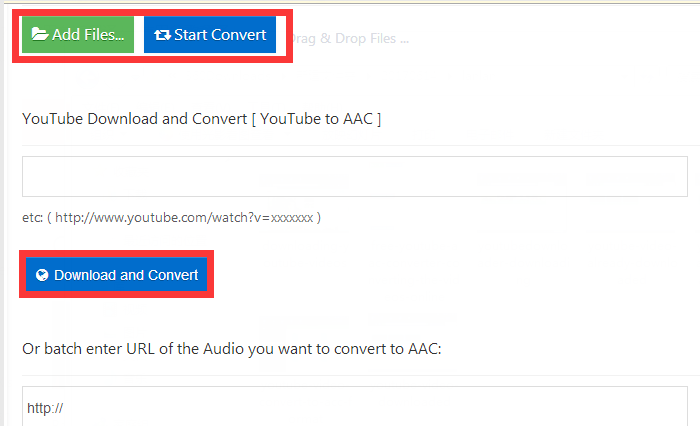 Both Leawo Video Converter and YouTube to AAC online converter are able to help you convert YouTube to AAC as long as follow the steps listed above. For me, I prefer Leawo Video Converter since its powerful functions. You can finish the video/audio conversion in high speed without quality loss. Although online converter is also convenient, it has some risks that you can’t ignore, for example, it is possible to let your privacy leak. And it may cost a long time to upload or download files. Hence, Leawo Video Converter is better.